Two years ago Apple began replacing Google Maps with its own ill-received Apple Maps. It's been a rough ride, but Apple's nav offering now spans many of the company's devices and services. Today, you can add one more to the list as Cupertino begins to implement Apple Maps into its Find My iPhone web app. 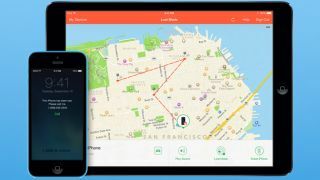 Find My iPhone lets users pinpoint their iPhones on a map using an iPad or other device, including web browsers (at iCloud.com) on desktop and laptop computers. The iOS app already used Apple Maps, and now, at least on the iCloud beta site and for some users, the web app does as well. Apple still uses Google Maps for its website's retail store listings, though not much else. Apple no doubt intended to eradicate Google Maps from its services and devices all along, but the many problems that have plagued its offering have slowed that process. By now, though, Apple Maps has improved, and it's about time Apple started putting more faith in its own service by implementing it everywhere possible. This development may also tie in to Apple's Maps team's September 2013 job listing seeking developers to "design, develop and maintain complex front-end code for a new secret project" including "an advanced web platform." Thanks in part to that job listing it's been speculated that Apple plans to launch a standalone Apple Maps web app much like Google's maps.google.com, but so far no real evidence of that has come to light. Meanwhile we've asked Apple to confirm that it's replacing Google Maps with Apple Maps in Find My iPhone across the board, and we'll update this story if we receive any information.